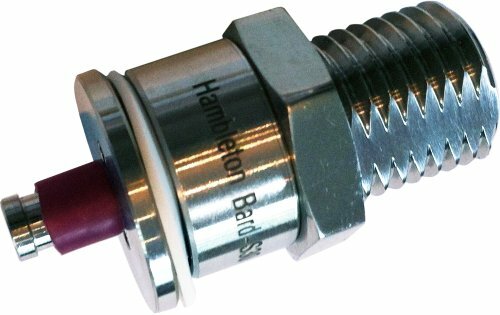 S30 valves can be fitted to any homebrew pressure barrel for use with the large 240g S30 cylinder from Hambleton Bard. The picture shows the new stainless steel Hambleton Bard S30 valve. This valve combines for the first time the operation of S30 cylinders (240g CO2) and 8g bulbs. The pin insert can be put in for use with 8g bulbs and removed again for use with S30 cylinders. All is high grade stainless steel. To remove/insert the pin (for 8g bulbs) it is necessary to remove the inner o-ring. This can be done with a small screwdriver but as it is a bit fiddly, we are providing complete valves with and without pin. If you have the S30 version and no pin, you can buy a S30 conversion pack (pin + o-ring) for an economical conversion between S30 cylinders and 8g bulbs. Prior to the stainless steel convertible valve, we had a brass version but that is not convertible between S30 and 8gm versions. You need a dedicated S30 version or a 8gm version and the only way to change is to replace the whole valve. S30 valves from Hambleton Bard work perfectly with the S30 system. Avoid any "compatible" brand as use of these will void the function guarantee of the whole system. For a genuine S30 valve + S30 cylinder, Hambleton Bard will guarantee the function and refill cylinders free of charge if there ever is a problem such as an uncontrolled leak. This guarantee does not apply to any valve or other product compatible with the S30 system but not manufactured by Hambleton Bard.